Keshar Mango : Kesar Mango-Export quality. A mango breed that’s best grown in Gujarat,Maharashtra Western India. Slightly elongated and competing well with the Alphonso vis-à-vis aroma and flavour, Kesar is enjoyed in two ways- just cut and eat or use it for juicing. Folks in Gujarat make delicious, finger-licking good Kesar Aamras. Like the Alphonso, Kesar turns to a golden yellow colour- a signal that it’s ready to relish. I am supplying a fresh mangoes to my international buyer. Short on time? Let kesar sellers contact you. Kesar Mango Pulp is manufactured and processed by extracting the pulp of full-sized mangoes picked at a suitable stage of ripeness. At this stage the mango is relatively rich in elements like calcium, phosphorous, iron, potash magnesium, protein, carbohydrates, Vitamins A and C and has low saturated fat. The preparation process includes cutting, de-stoning, and finally extraction of the Kesar Mango Pulp. We follow standard techniques to ensure safe and hygienic production and approved preserving techniques to keep our products rich in nutrients, flavour and taste. Kesar Mango Pulp is best suited for alteration in juices, nectars, drinks, jams, fruit cheese, puddings, bakery fillings, fruit meals for children, flavours for the food industry, ice creams, yoghurt and confectionery. 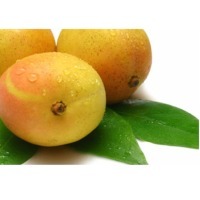 Botanical name: mangifera indica Details : Size : 200 gm & above. Shape : along ventral shoulder. Skin : light yellow. Taste : sweet & fibreless. * note: these fruit are 100% natural and we do not use any kind of chemical for ripening it. Packaging : 3kg, 5kg, 10kg corrugated box. 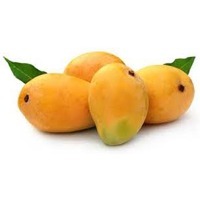 We are the renowned cultivator, exporter and supplier of optimum quality kesar mango pulp. These product are cultivated under the guidance of our skilled professionals keeping in mind international standards. The offered mangoes are famous for sweet taste, high nutritional value, freshness and can be stored for long. We offer this range in different packaging options as per the needs of the clients at reasonable prices. Packed in cans of 850 gms & 3.1 kg. Kesar Mango is used to make juices, smoothies, ice cream, fruit bars, raspados, aguas frescas, pies and sweet chili sauce, or mixed with chamoy, a sweet and spicy chili paste. These mangoes retain its freshness till longer durations and also tastes best when cooled. We are producing kesar mango pulp. We provide 1kg, 5kg, 10kg packing for kesar mango pulp. We are producing organic kesar mango is very sweet and testy. It's 100% guarantee to ripe mango. We are award winner in competition. Valsad Jilla Fal Ane Shakbhaji Sahakari Sangh Ltd.
"DESCRIPTION Kesar Attar is well recognized for its sweet scent and essence. Extracted through steam distillation process from the flower part of the kesar plant, it is used with a blend of Sandalwood Oil and finds wide application in aromatherapy based applications as well as skin care formulations. USES Coming directly from the Kesar flower, Kesar Attar offered by us is used as fragrance oil in exotic skin care formulations. Further, it also has usage in natural perfume oil as well as in meeting the demands of aromatherapy based applications." 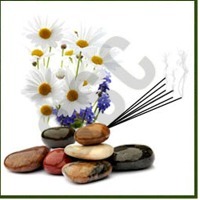 We are also a leading name in field of offering Aggarbatti compounds that are well known for its attractive perfumery smell and are processed from varied range of natural essential oils. These exotic essential oils are soft, aromatic and fresh in smell and are known for providing rejuvenating effects on the body. Here, these can be offered in the different flavors like Rose, Sandal, Musk and other pleasant smells. Here, the wide range of natural agarbatti compounds offered is free from chemicals and is available in different forms like Amber solid, Civet, B. Base, Cardammom, Kasturi, Kesar sandal, Musk amber, Sandal G, Wood and others. Gamma radiated products As per international standard.